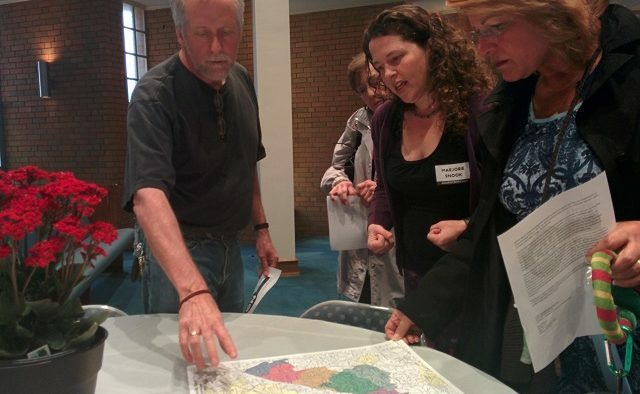 A proposal to annex Druid Hills into Atlanta failed in the Legislature this year, but discussion about it was alive and well during a voter information meeting on April 16. The event, held at Clairmont Hills Church, drew about 100 people. There was no official representation from groups in support of the proposed cities of Tucker and LaVista Hills. When asked for his take on some of the information presented during the meeting, LaVista Hills Yes Chairperson Allen Venet said, “I cannot comment on something I have not seen. I can say that we at LaVista Hills YES were thrilled that an enthusiastic crowd packed our volunteer meeting this past Monday.” The city of Tucker movement did not provide any statement regarding the meeting. But the meeting, called by opposition group DeKalb Strong, devoted a significant amount of time to the Atlanta annexation proposal. The meeting was called primarily discuss cityhood referendums for Tucker and LaVista Hills, but Atlanta annexation came up again and again during the meeting. Bills calling for referendums on both cities did make it through the 2015 legislative session. The Atlanta annexation proposal died for lack of support in the Legislature. As Snook pointed out, the Tucker and LaVista Hills cityhood proposals would have no effect on school attendance zones. All schools in the proposed new cities would remain in DeKalb County Schools. And yet, Trenton Arnold, Regional Superintendent for the DeKalb County School System, was there fielding questions about the failed Atlanta annexation proposal. If the proposal had succeeded, it potentially would’ve brought Druid Hills High, as well as Fernbank and Briar Vista elementary schools, into Atlanta’s public school system. That would’ve disrupted the school feeder pattern for other schools that feed into Druid Hills High: Avondale Elementary, Laurel Ridge Elementary, McLendon Elementary and Druid Hills Middle School. The annexation would’ve also brought Emory University into the city of Atlanta. So why all the concern about an annexation proposal that won’t even be on the ballot this year? Snook said that the success or failure of LaVista Hills in November could determine whether the Atlanta annexation proposal resurfaces next year. Venet does not believe one success of one cityhood proposal will determine whether the Atlanta annexation will be successful. Attorney Doug Dillard, who specializes in zoning and land use, spoke during the meeting. Dillard said new cities are great for his business because zoning conflicts create more work for his practice. But he said what’s good for him may not be in the best interest of the county. 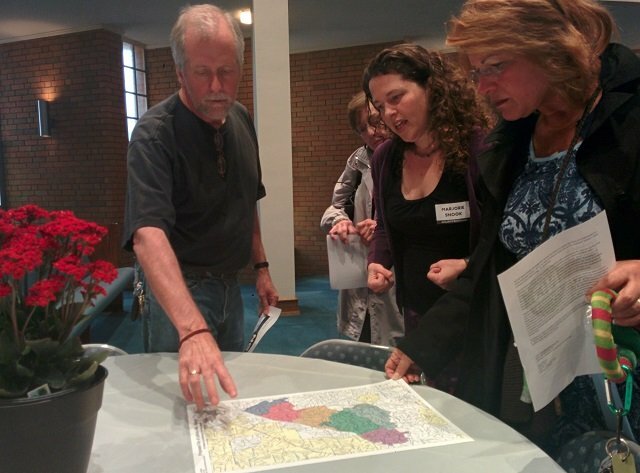 He questioned whether Atlanta could take over those schools if an annexation occurred. The political back and forth over the LaVista Hills and Tucker proposals is just getting started. John Bliss attended Thursday’s meeting because he received a robo call asking questions about the proposed city of LaVista Hills. He is in the city’s proposed boundaries. Other residents who are in the proposed map for the city LaVista Hills have reported receiving similar calls. Venet said the calls aren’t being funded by LaVista Hills YES. “I received a telephone poll myself, but we do not know who commissioned the poll,” he said.